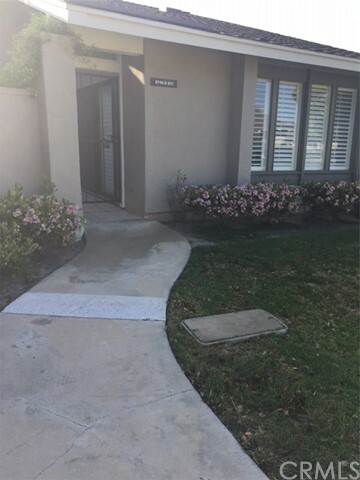 Senior 55 plus huntington landmark, beautiful single story 2 bedroom, 2 bath "marina model" excellent location, so close to ocean you can feel the ocean breezes. Beautiful laminated wood floors throughout. Guest bathroom has been upgraded. There are several skylights in unit. Living room has shutters on windows and sliding door. Recent new dishwasher, new kitchen sink and garbage disposal. Sale includes washer/dryer lovely courtyard entry for your leisure pleasure and additional back patio. Huntington landmark offers many planned activities; tennis,pickle ball,golf foundation, library, gym,ceramics, woodshop, billiards, 2 pools/2 spas, parties, dinners and much more. 24 hour guard gated community. For more information or make an appointment to see property ID OC19084130.